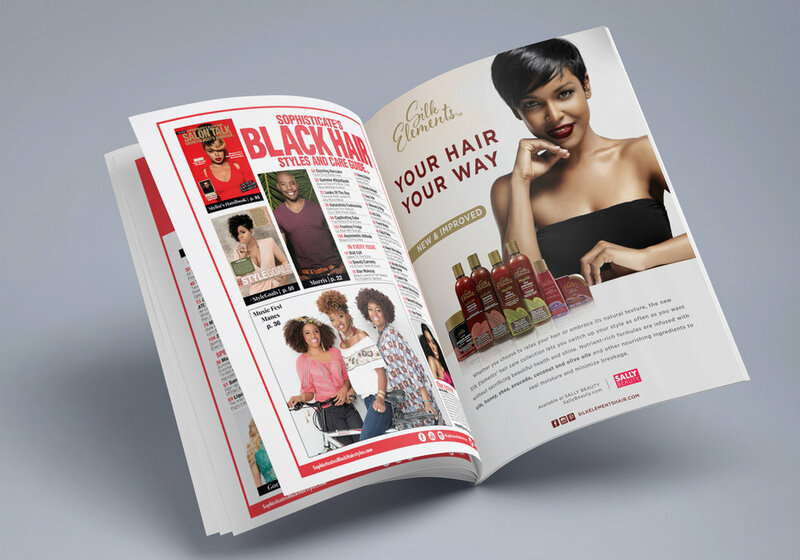 Cimone Key Creative Studio was called upon to execute a magazine ad to be placed in Sophisticates Black HairStyle Magazine, in-store collateral pieces such as a launch sheet & insert cards, website and social media design for SALLY BEAUTY's multi-textured hair brand, Silk Elements. 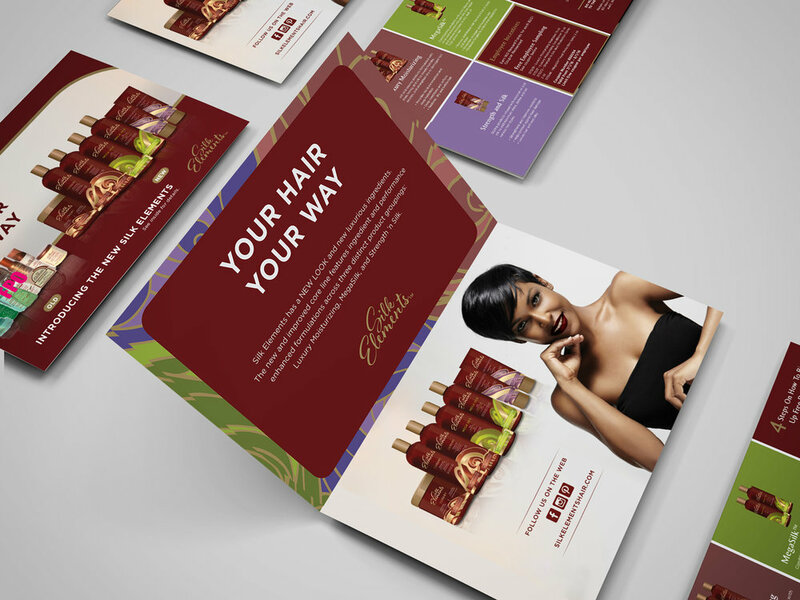 Silk Elements recently undergone a massive rebrand to become more modern and stray away from their 1970s look. Silk Elements contains a core line and Pure Oils is an extension of their brand offering more of a medicinal look and feel.